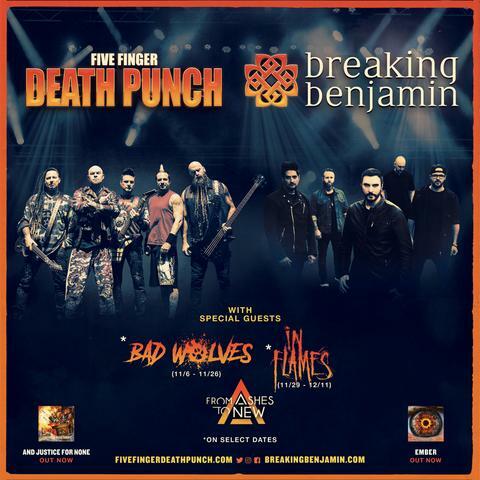 Five Finger Death Punch and Breaking Benjamin have added more dates to the co-headlining tour that will take place in the arenas this fall. Below you can find the dates. GENERAL FALL TOUR ON-SALE STARTS FRIDAY AUGUST 3 AT 10AM!